The healthcare industry may have been slow to start using cloud applications, but over the course of the past 12 months, healthcare cloud app adoption has increased significantly. 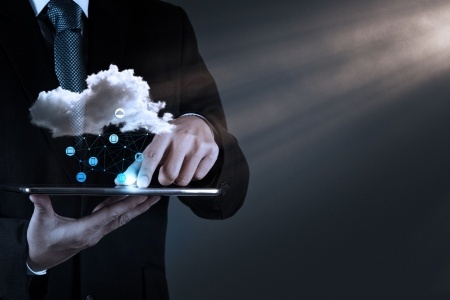 Last year, only 8% of healthcare organizations had started using cloud apps. This year that figure has jumped to 36%. While there has been a massive jump in the adoption of cloud apps by healthcare organizations, the industry is still well behind almost all other sectors. Heavy regulation and fears about the security of the cloud has held organizations back. It is a similar story for the financial sector. Uptake has been rapid over the course of the past 12 months, but with an adoption rate of just 37.5%, it is only barely above the healthcare industry. Bitglass figures show an increase of more than 71% in adoption rates across all industries, but there are big differences between regulated and unregulated industries. Last year, 15% of organizations in regulated industries were using cloud applications. This the figure has risen to 39%. Unregulated industries increased from 26% to 50% over the same period. The slow uptake of cloud based applications by healthcare organizations is due to a number of factors, the Health Insurance Portability and Accountability Act being one of the major hindrances to cloud app adoption. Fear of the exposure of ePHI from using cloud applications has been a problem, but also the lack of security solutions suitable for healthcare providers, according to Bitglass. As more options have been made available, healthcare providers have been more willing to start using cloud-based applications. Another problem has been physicians affiliated with multiple hospitals, when Mobile Device Management solutions cannot be applied. This is an area that is now being tackled, with a number of companies, including Bitglass, now offering solutions. Cloud app use by government organizations also increased significantly in 2015, with 47% of government organizations now using cloud based apps, Education leads the way with 83% adoption. Educational institutions show little preference for either Google Apps and Office 365. 42% of organizations have chosen Google, while 41% have chosen Microsoft. Government organizations favor Microsoft. Regulated industries also prefer Microsoft over Google. Last year large organizations in regulated industries – those employing more than 1000 people – showed no preference, with both Google and Microsoft both having a 5% market share last year. This year, Microsoft has stormed into the lead and has registered a 500% increase compared to Google’s 200% jump. Twice as many large organizations are using Microsoft (30%) than Google (15%) this year. It is a similar story for mid-sized organizations employing more than 500 people. Last year use of Google and Microsoft were fairly even at 8.9% and 9.4% respectively. This year Microsoft has gained a major lead, with 34.3% of users choosing Office 365 compared with Google’s 21.9% share. Data used to compile the Global Bitglass Cloud Application Report was collected via an automated process. Bitglass used a cloud-based analysis assessing over 113,000 different organizations across 20 different industry verticals. The Bitglass study was split into two separate reports, which can both be found here.